Are you or do have a friend, spouse, or family member who is training to become a Half Fanatic or needs that extra push to qualify for the Fanatics? Then this is the shirt for you or them! 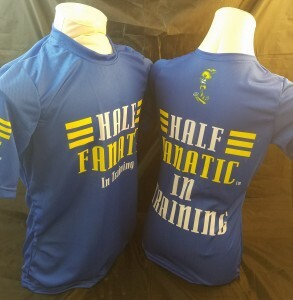 Fanatic "In Training" ATAC Tee with Half Fanatic logo on front/ back and "In Training" on front, back, and sleeve.